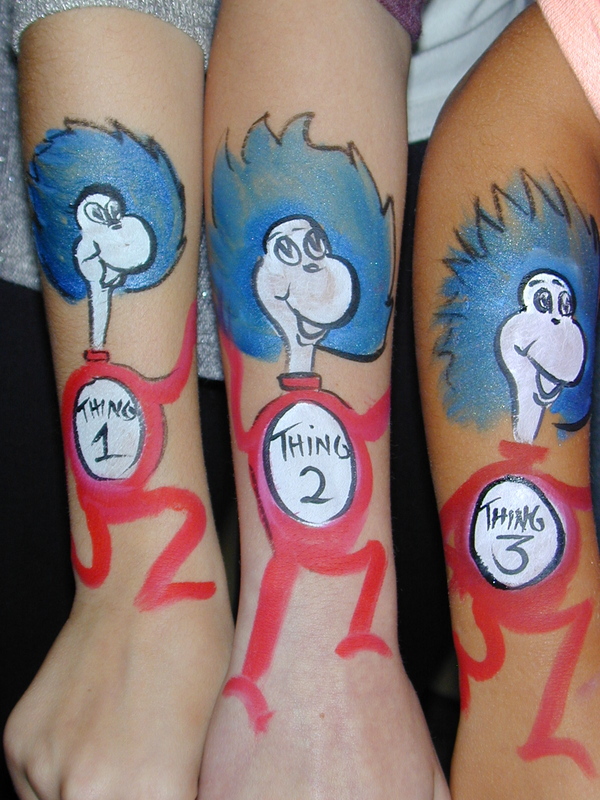 2018 Fri. March 2 4:30-6PM The Danville Library, 400 Front St., Danville, CA Celebrate Dr. Seuss's birthday with art activities, storytelling and face/arm painting the Seuss characters, by Carla Winter :-) Sat. March 10 9-10AM Solano Town Center, 1350 Travis Blvd, Fairfield, CA Celebrate Spring with a breakfast w/ the Easter bunny at the food court. Activities include balloon twisting by Chris Throop and face painting by Carla Winter. Then Carla moves her work station to center court and continues to face & arm paint from noon-2PM, photos can be taken w/ the Easter Bunny too. Sat. March 17, 24 & 31 noon-2PM Solano Town Center, 1350 Travis Blvd, Fairfield, CA To celebrate "the Irish & the Spring season with face painter excellence. Excellent artiste, Bird McCargar will showcase on March 17 & 24 and Dori Sanchez, back from her performance tour on the Princess Cruise Lines will be painting on March 31. Sat. 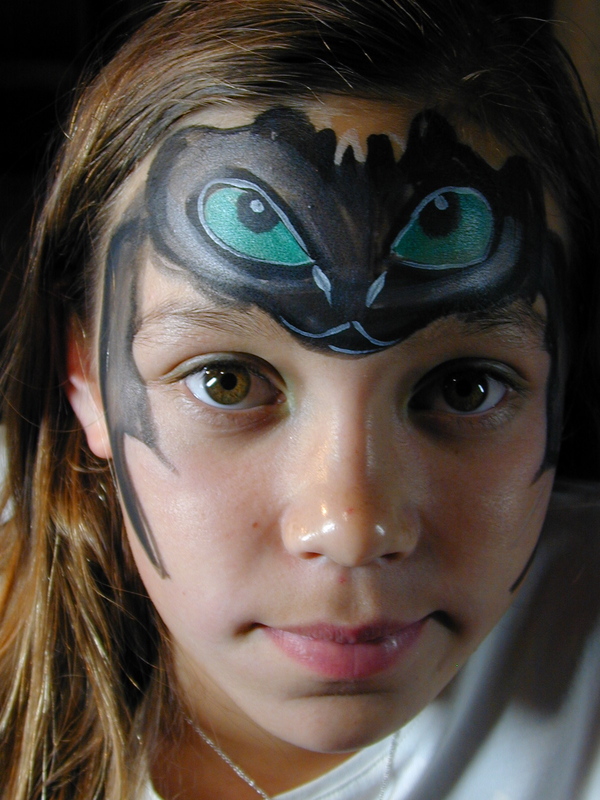 March 24 1-3PM Blackhawk Plaza, Danville California The Danville Library celebrates reading with this sponsored event with magicial performance, activities... and Carla's face painting skills. We've been doing this event for at least five years, and attendance keeps growing. Thurs. April 26 6-9 PM Danville Mercantile and Livery Center, Danville, CA Wine tasting and art - This fun event for sophisticated adults is to do. Featuring live music, vendors of many sorts, including Carla Winter reading tarot cards & giving counsel to those curious. The context for me is being fun and entertaining while giving accurate reads with wise and helpful insights. Though intended for adults, Carla can do a safe and fun read for the curious children too. I love to learn and have always throughout my adulthood taken a variety of classes to improve my skills and insights as a performer, a manager and a business person, and a human being. 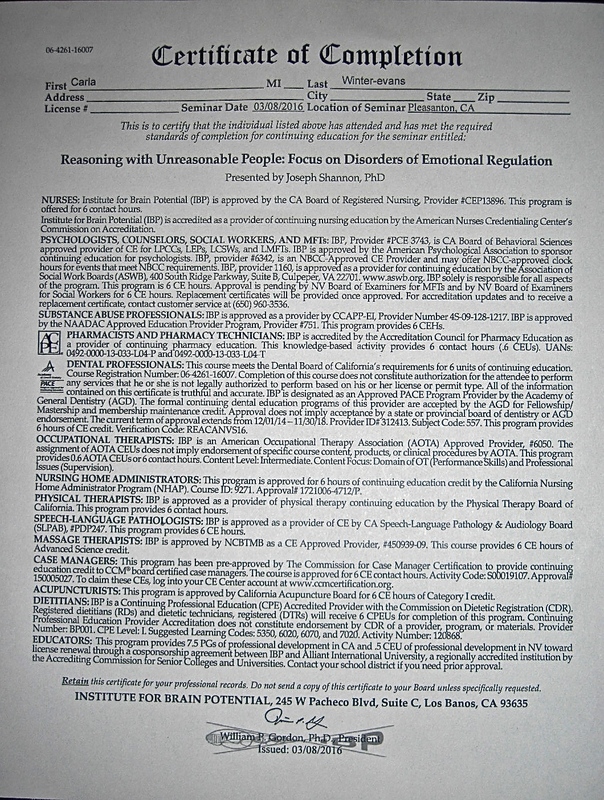 The Institute for Brain Potential offers twice a year some very interesting classes. Though the six hour workshops are geared towards health care professionals and credit requirements for maintaining licenses, I just take the classes to learn and expand my knowledge base. The recent class, "Reasoning with Unreasonable People" taught by the eminent Dr. Shannon, was meticulously presented, informative and detailed. Though I wasn't expecting it... I actually experienced a "a ha" lightbulb going off, immediately after having the thought of wondering why the prof was telling a story. He knew what he was doing. Exquisitely well. 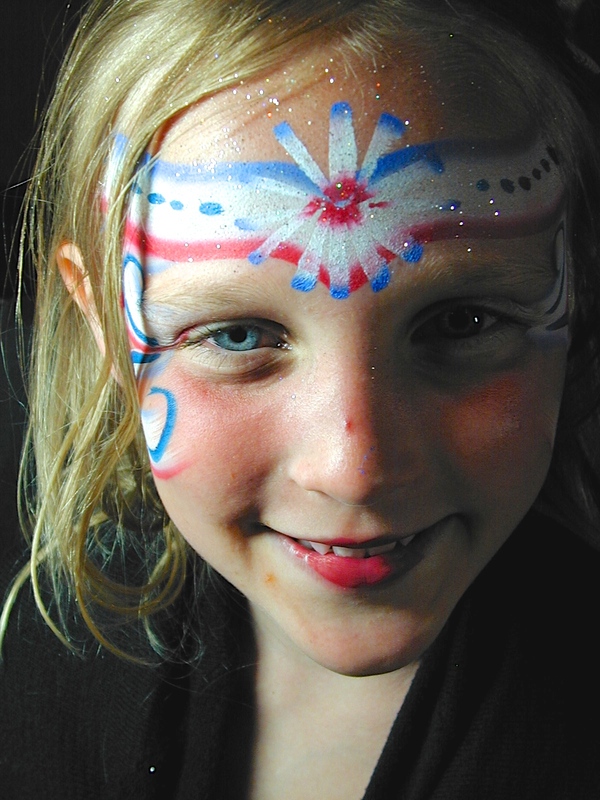 Partiart added fun and color to the 4th of July celebration @ The Contra Costa Country Club. Demand for face painting was high. I started 40 minutes early and worked 15 minutes over. Fortunately, during prime time I was joined by two other face painters, Katy Lawrence and Bird McCargar. We rocked! Chris Throop, decked out in patriotic tails & top hat delighted the kids at the jumpy house with his balloon sculptures. Michael Goldstein joined him during the peak time to add extra balloon twisting support then @ 9PM performed a delightful variety show of music and magic. I was racing to complete as I still had another party to get to, but, despite my "End of the Line" sign, the line did not end. Finally, I packed up and nearly flew to my car to load out and head out but was stopped in my tracks by a road block. The fireworks were just beginning and I wasn't going anywhere... fire marshalls order. So, I smiled, embraced the moment of now and was joined by my crew and enjoyed the fireworks with a ringside view. They were visually spectacular. I have never been so close. Being first in the car queque to exit, I think, "Free at last", I'm off to the Miller's event, an Hawaiian Themed Xmas Party on July 4... but alas, I had not gone 1/4 of a mile and hit the worst traffic jam just trying to get to the freeway. With the ban on personal fireworks, the public was out in full force and we were all going home simultaneously. Finally, I get to the Miller's party... it was just about wound down, but fortunately there were plenty of leftovers as I was really hungry by then. A great place to wind down and even better that they lived next door to me! Twas a good July 4th! 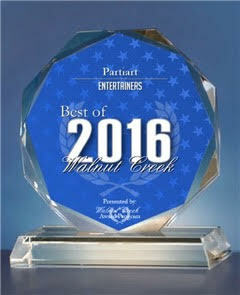 Anne C. said, "Great for families, close to everything"
I stayed a week with my family (two children, ages 6 and 9) and had a wonderful visit. The condo is spacious, centrally located, and very comfortable with extra towels, all cooking implements necessary, etc. 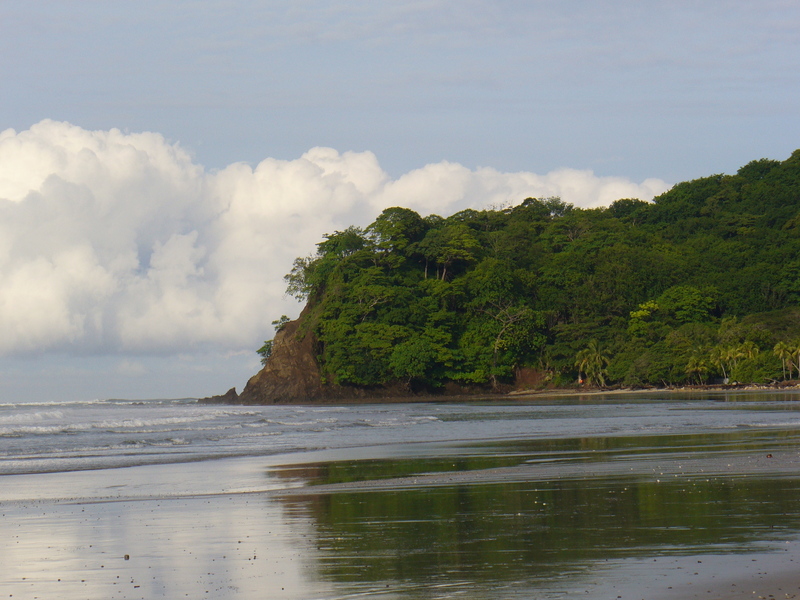 We had researched the safest beaches in Costa Rica because we know many have a powerful rip current. Sámara's waves were perfect for our first-time boogie-boarders. The water is warm and clear -- just delightful! We went to the beach every day, morning and afternoon (to avoid strong mid-day heat) and loved every minute. We also loved coming home to the spacious condo and relaxing in the pool. The kids loved the Hello Kitty toaster :), and the iguanas who hang out in the roof and yard. Melissa, the property manager, was easy to meet and helpful with recommendations around town. Carla, the owner, was very gracious and helped us re-schedule when our initial plans changed. Just a block away is a massage therapy school, where you can get a great massage for just $20-30. We would love to come back! What a special treat to be part of a troupe for a night of Gregangelos Velocity Circus. What a treat to be part of such a beautiful vision. Called by Denise Adkins who works with both Gregangelo, artistic director of Velocity Circus, and Event Producer, John Kelly, a colorful group of multi-talents gather at the golf club @ Pebble Beach for a Mid Summer's Night Dream special event. With this particular company one literally comes to the job with their work skill and a fresh undergarments then the magic of vision, professional makeup and thought out costuming by Gregangelo and his talented staff take over. It's a pleasure to submit. Complete with wings, and stationed to work by a window over looking the Cove @ Pebble Beach and the 18th whole - I focused on my presentation of grapho-analysis of couples and individuals in an engaging, informative and entertaining manner. I think they had a blast. When dolled up by Gregangelo, I'm not real aware of the visual sensation I'm making while working as I am so focused on just doing a good job. However, I can see by people responses and reactions that the combination of the two really takes special events to an extraordinary level. Especially fun was being with "old buddies", Jodi Carr and Dinnie McLaughlin who were on the assignment too. We carpooled together thus making the commute a pleasurable social catchup in addition to conserving energy. Really nice at my mature stage of life and career to still be able to shine. I am grateful. March 2, 4:30-6:30 PM @ The Danville Community Center, next to the Library. Come celebrate Dr. Seuss's birthday! Carla will be there face painting "Things" from Dr. Seuss. There will be crafts, storytelling, and other treats. The library consistently produces a beautiful event. Sunday, September 14, 1-3PM Hillsdale Shopping Center, San Mateo, Macy's Center Court. Carla Winter will be face painting for the movie promotional "Boxtrolls" soon to be released. There will be fun, hands on "Boxtroll" activities for the kids in addition to Carla's painting finesse. On a movie roll this year, tis my third film promotional. Very exciting to have been invited by Allied Marketing on behalf of Dreamworks, to be the face paint artist to promote the upcoming release of the the movie "How to Train Your Dragon #2". The kids are so excited about the movie they jump up and down when talking about it. This assignment was very good for my self esteem as an artist, as I am pretty sure I wouldn't have been hired if they didn't think I could paint, I kept telling myself. And, they found me, so, I must at least be semi on track with my web presence, in my low key way. It was a fun and challenging assignment, the client was assessable, and competent, and I learned a great deal and grew as an artist. May 25&26 10-6PM-Kids Fest, Mt. Diablo High School,2450 Grant St.Concord CA. An incredible face painting gig! 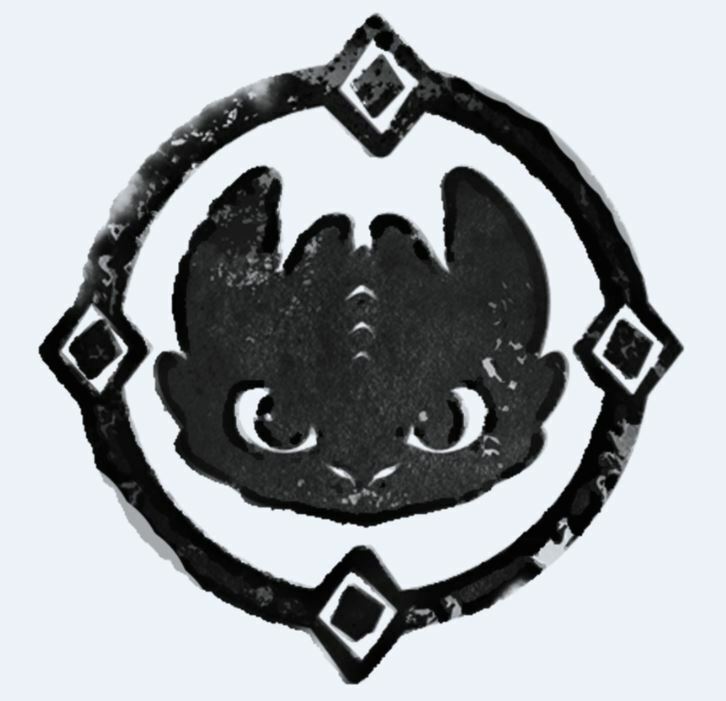 Carla Winter has been hired by Dreamworks Animation, a subsidy of the Fox Film Corporation to help promote their upcoming movie, "How to Train Your Dragon, #2". She is the featured artist for their booth with the job requirement, "Dragon's Only"